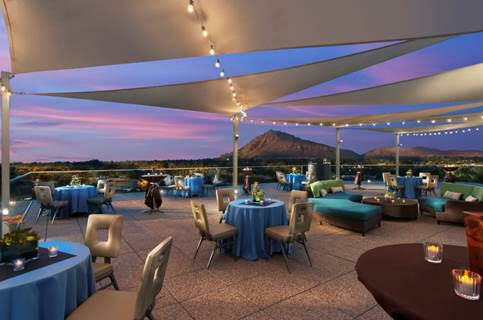 Hotel Valley Ho in Downtown Scottsdale is pairing whiskey cocktails, cigars, hors d’oeuvres and three courses for an event you won’t want to miss. The Rooftop Whiskey + Cigar Dinner is happening on Wednesday, December 7 at the scenic Sky Line Rooftop. Enjoy several full-sized cigars from Cigar King, craft cocktails made with award-winning High West Whiskey of Utah, wines by The Prisoner and beer. The event kicks off at 6:30 p.m. with passed hors d’oeuvres. Dinner is served at 7:15 p.m., including a Bibb and Artichoke Salad, Slow Roasted Veal Tenderloin with roasted corn polenta and grilled white asparagus, and Apple Cobbler with cinnamon cream. The event is $99 per person, plus tax and gratuity, including cigars. Call 480.421.7997 to make your reservation, and visit www.HotelValleyHo.com to see the full menu of craft cocktails and delicious eats.